I’m a messy person. I’m messy and I’m perpetually late. People who are messy and always in a hurry are bound to ruin everything they own. How you ask? That green smoothie you’re chugging on your way out the door to the gym, all over your new, cute workout shirt. That morning coffee on the way to work, just running down your nice, white sweater. Decided to grab some food through the drive-thru between classes or on your lunch break, can’t wait to eat because as usual you’re late so you drop it all over your new scarf? Oh yeah. If that sounds accurate it’s because that’s pretty much the story of my life. All of these things have happened to me at least once and will happen again because I never learn. 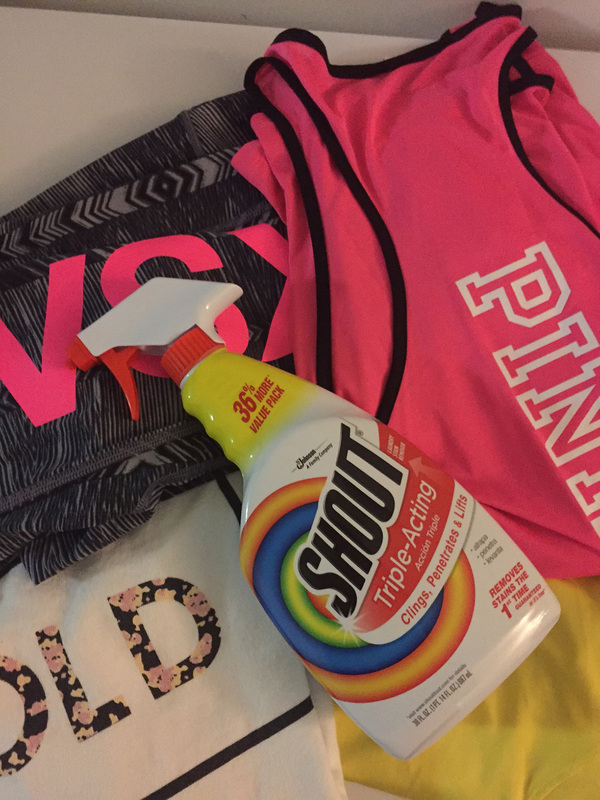 Plus, Shout® Trigger Triple-Acting Stain Remover is always there to rescue me from myself. 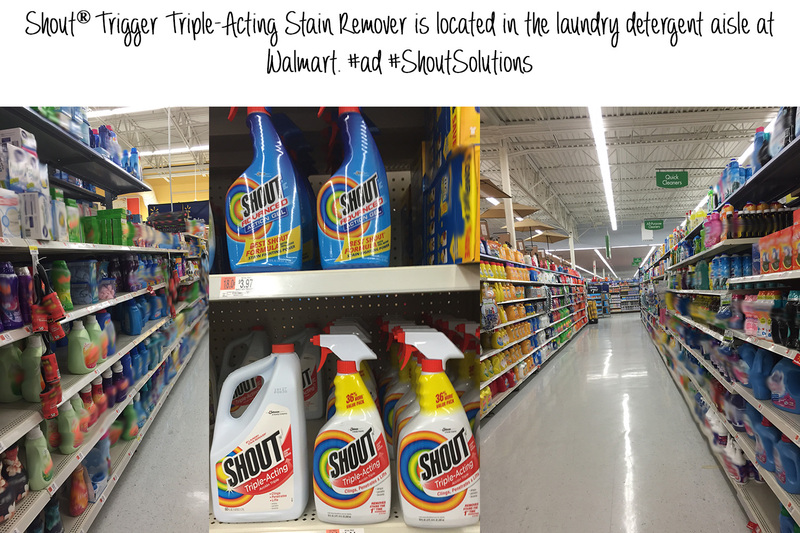 Shout® Trigger Triple-Acting Stain Remover is a must-have in my daily life. Without it, I’d probably being replacing clothing items on a weekly basis. Hello, bankruptcy! The Shout® Trigger Triple-Acting Stain Remover clings to, penetrates and lifts stains and is safe for all colorfast washables, in all water temperatures. Thanks to its easy to use trigger dispenser, it takes no time at all to save your favorite clothes! The cup that LOVES to toss the coffee all over me. 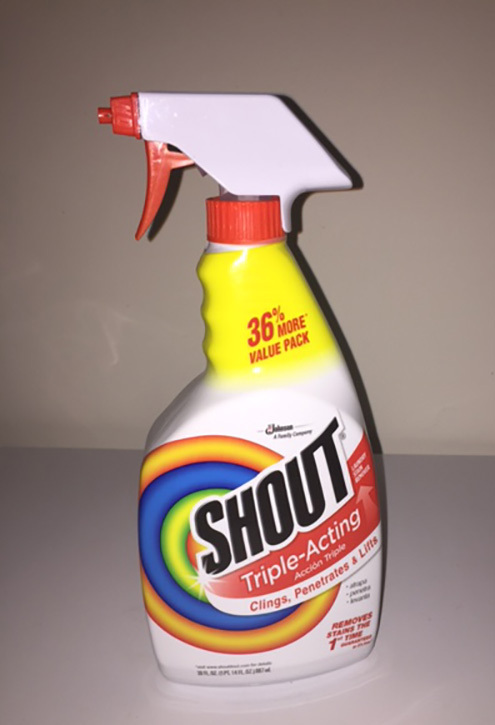 If you’re always spilling things on yourself, you need to do yourself a favor and grab a bottle of Shout® Trigger Triple-Acting Stain Remover from Walmart the next time you’re out. I also bought mine at Walmart, it’s in the aisle with the laundry detergent and bleach. Don’t let a stain ruin your favorite outfit, save it before it’s too late. For more info, visit the Shout® product page and follow Shout® on Twitter. Seriously, it’s so easy to use. All you have to do is find the stain, cover it in the Shout® Trigger Triple-Acting Stain Remover, wait 1 -5 minutes and wash it in warm water. If it’s a really tough stain, leave it overnight. It’s easier to treat fresh stains, so try to catch it ASAP. Who wants to go around with evidence of that pizza that you weren’t supposed to eat because you’re on a diet, but you did and now the evidence is literally all over you? That’s what I thought. Are you a clothing destroyer? For more stories like mine, head over to the #ShoutSolutions storyboard.